The Yellow Wallpaper; Charlotte Perkins; 1899. On further reading, we may notice that this story speaks about illness, but also about some kind of “banishment” of a woman: the narrator becomes apparently mad, and it is not because of a feeble mind of her own that keeps on thinking about haunted houses, but because of the imposition of her husband (an important doctor) who insists on forbidding her all sorts of activities. “…This was funny. The story was meant to be dreadful, and succeeded. I suppose he [the publisher] would have sent back one on the sane ground…”. Although she finally got it published, she never received a cent for it until later publishers brought it out in book form, and very little then. Nevertheless, the story made a tremendous impression. Perkins was frequently asked if the story was founded on fact and she always said all she decently could of her case as “foundation for the tale”. The real purpose for the story was to reach Dr S. Weir Mitchell, and convince him of the error of his ways. She sent him a copy but got no response. However, many years later she knew by a friend that the Doctor had changed his treatment of nervous postration since reading The Yellow Wallpaper. “If a physician of high standing, and one’s own husband, assures friends and relatives that there is nothing the matter with one but temporary nervous depression […] what is one to do?”. “I don’t like our room a bit”. The protagonist clearly shows her disappointment with the place in which she has been forced to remain, like a “punished bad girl” who needs to learn in order to become better. “… when you follow the lame uncertain curves for a little distance they suddenly commit suicide –plunged off at outrageous angles, destroy themselves in unheard of contradictions”. “The paint and paper looks as if boy’s school had used it […] I never saw a worse paper in my life […] No wonder the children hated it! I should hate it myself if I had to live in this room long”. She: the depressive woman who is telling the story, is supposed to have nothing to do with her own recovery but follow directions her intelligent husband is giving to her. She is not capable to know what she is really feeling. She is like a child and needs adult vigilance. Nevertheless, the reader can easily perceive that she does not really believe all that ideas and also that, by watching constantly the drawings on the yellow wallpaper, she will progressively project her own feelings and fears on it. Maybe she perceives her own husband’s enclosement towards her illness: she fears for what could happen if she refused his recommendations and consequently, became a rebel woman against men’s impositions. “By daylight she is subdued, quiet. […] he [John] started the habit by making me lie down for an hour after each meal. It is a very bad habit I am convinced, for you see I don’t sleep. And that cultivates deceit, for I don’t tell them I’m awake –O no! […] It strikes me occasionally, just as a scientific hypothesis, -that perhaps it is the paper!”. “I have watched John when he did not know I was looking, and come into the room suddenly on the most innocent excuses, and I’ve caught him several times looking at the paper! And Jennie too. I caught Jennie with her hand on it once […] I am determined that nobody shall find it out but myself!”. “But there is something else about that paper –the smell! […] whether the windows are open or not, the smell is here”. “The front pattern does move –and no wonder! The woman behind shakes it! Sometimes I think there are a great many women behind, and sometimes only one, and she crawls around fast, and her crawling shakes it all over. […] They get through, and then the pattern strangles them off and turns them upside down, and makes their eyes white!...”. “’I’ve got you at last,’ said I, in spite of you and Jane! And I’ve pulled off most of the paper, so you can’t put me back!’ Now why should that man have fainted? But he did, and right across my path by the wall, so that I had to creep over him every time!”. The Living of Charlotte Perkins Gilman. An Autobiography by Charlotte Perkins Gilman (Introduction by Ann J. Lane); USA, Wisconsin; The University of Wisconsin Press; 1990. .
 Gilman also authenticates period beliefs that chemicals in wallpapers cause dementia. While some period critics suggest dyes affect the narrator’s mental state, the narrator believes John and Jennie may be affected by the wallpaper. Interested readers might profitably examine 1899 reviews and Tom Lutz’s reading of the effects of poisonous dyes in late 19th century American wallpapers. [Charlotte Perkins Gilman ‘The Yellow Wall-Paper’. A Sourcebook and Critical Edition; Ed. Catherine J. Golden; New York; Routledge; 2004; pp. 152-153. 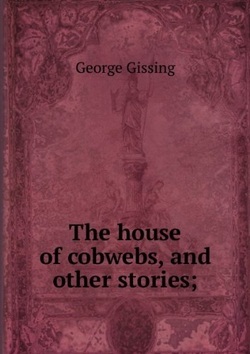 "A Daughter of the Lodge"; The House of Cobwebs and Other Stories (1906) George Gissing; Aegypan; USA; 2006. Looking for a sort of "new woman"
Amongst all the different subjects presented throughout this text, I think it’s important to notice that there is a new kind of real life picture drown by George Gissing. "…the life of the lodge would afford no adequate scope for her ambitions”. If we compare this work with the Katherine Mansfield’s The Daughters of the Late Colonel, the first thing that captures our attention is that, although both are speaking about similar problems related to “the new woman” of the late 19th century, in her text, she is using a more innovator perspective of narration; a type of description composed by pieces or “word depictions” which puts the reader straight into the crisis of the story, without having given him/her any kind of introduction of the characters and relationships amongst them. “… they privately agreed that May was more of a real lady than either the baronet’s hard-tongued wife or the disdainful Hilda Shale”. The tale of Gissing deals with a particular content, maybe closer to the problem of social differences than to the feminist theories developed during that time. I think the real drama of the plot relies on the shock suffered by May Rockett, daughter of the Lodge, when she realizes that, by the ending of the 19th century, no matter how higher your ambitions may be, the only important thing in order to grow was the money you may have. May Rockett becomes humiliated by Hilda Shale, her supposed feudal superior, in front of her admired leader, the progressive Mrs. Lindley, and therefore, she gives Miss Shale a revenge, by deliberately ignoring her when entering the house. Last but not least, the ending of the story also gives the reader a moral lesson, hidden in the thoughts of a more mature protagonist: May Rockett reaches the end of the tale with the same elevated intellect as in the beginning, but with a new relief in her soul: the sense that something good has happened to her family, thanks to her brave attitude towards the unfair people they insist on being subordinated to. The presence of this character in the story has a particular function, related to the Feminist Context: since Miss Rockett is a lady with sharpened intellect, she is as well interested in “a movement” that also Mrs. Lindley (“a good-humoured, chatty woman, who had a lively interest in everything progressive…”) was interested on. The first time someone reads The happy Prince, the natural tendency is to feel some kind of emotion deep inside, but only after having read it three times at least, the reader will be able to discover to what extent Oscar Wilde moves senses from happiness to sadness and so on. "One night there flew over the city a little Swallow (...) he was in love with the most beautiful Reed". "'But I love travelling, and my wife, consequently, should love travelling also' (...) the Reed shook her head, she was so attached to her home". 'You have stayed too long here; but you must kiss me on the lips, for I love you'". "And he kissed the happy Prince on the lips, and fell down dead at his feet. At a moment, a curious crack sounded inside the statue, as if something had broken. The fact is that the leaden heart had snapped right in two". "The poor little Swallow grew colder and colder, but he would not leave the Prince, he loved him too well". 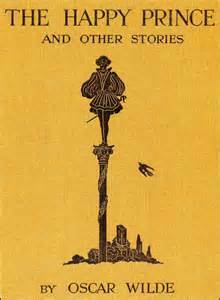 "Leaf after leaf of the fine gold, the Swallow picked off, till the happy Prince looked quite dull and grey". The sense of happiness is possibly linked with the title of the story: The happy Prince, but it may be a paradox. "'When I was alive and had a human heart (...) I lived in the palace (...) where sorrow is not allowed to enter (...) And now that I am dead they have set me up here so high that I can see all the ugliness and all the misery of my city'". At the end of the story the reader realises that the happy Prince only becomes "happy" when his appearance is not an apparenly happy one; in other words: whe he is beautiful and admired he is sad, but when he looses his beauty and gives it to the poor people he becomes happy inside, though shabby in appearance. Likewise, the theme of beauty is decisive in understanding the tale. If this text has a moral it possibly consists of "behaving generously with the others trying not to be egotistical". "But the Happy Prince looked so sad that the little Sallow was sorry. 'it is very cold here', he said 'but I will stay with you for one night, and be your messenger". "'I am covered with fine gold' said the Prince, 'you must take it off, leaf by leaf, and give it to my poor; the living always think that gold can make them happy'". Finally it may be noticed the ability of Oscar Wilde to drive the reader through his own feelings and transmit them easily: love, sacrifice, happiness and duty are put together to create the most beautiful and tender fairy tale ever written. By reading Bliss it is possible not to feel anything special; maybe the story hasn’t got that sense we need for considering it as a particular, different or extraordinary text. 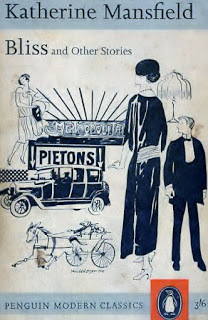 We could have a look at its paragraphs and only see a childish woman running upstairs and downstairs her house, making the arrangements for her guests, playing with her baby as if she was a doll and having foolish fantasies with that "mistery woman in silver dress" Miss Pearl Fulton is. There were tangerines and apples stained with strawberry pink. Some yellow pears, smooth as silk, some white grapes covered with a silver bloom and a big cluster of purple ones. These last she had bought to tone with the new dining –room carpet. Yes, that did sound rather far-fetched and absurd, but it was really why she had bought them. She had thought in the shop: ‘I must have some purple ones to bring the carpet up to the table.’ And it had seemed quite sense at the time". 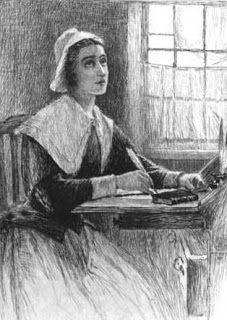 XVIII (William Shakespeare’s Sonnets; 1609) vs. Anne Bradstreet's "In memory of My Dear Grandchild Elizabeth Bradstreet, Whodeceased August, 1665, Bein Sonnet XVIIIg a Year and Half Old"
"In memory of My Dear Grandchild Elizabeth Bradstreet, Whodeceased August, 1665, Bein Sonnet XVIIIg a Year and Half Old"
This repetition Farewell […] / Farewell […] / Farewell apparently has to do with happiness, but it is possibly a way to explain the suffering repressed of a Puritan soul, forced to accept this kind of "unfairness" that life represents, not only as a matter of God, but as an imposed reason to be “happy” about. According to the comparison established between the two poems, I think it is in the second stanza of Bradstreet’s one where this parallelism can be appreciated most clearly; the second stanza describes a natural landscape where death behaves as unavoidable fate with those “natural elements” such as trees, plums, corn, plants and buds that sometimes die before time; the death of a year and a half old grandchild might be as inevitably natural as crops. But if we go on further: Does this make it more acceptable? Does the comparison itself convey the speaker's feelings about this? It may sound strange but, let us think about futility: Doesn't the Sonnet suggest that that beauty is immortalized in the poem itself? Would a Puritan ever think in these terms? Maybe the most remarkable difference amongst the two works quoted here, is the religious aim of Bradstreet's elegy: its final line "Is by His hand alone that guides nature and fate" speaks directly about God and His inscrutable behavior, while the Sonnet only exposes strong feelings about love.